June | 2014 | Arthur in the Garden. 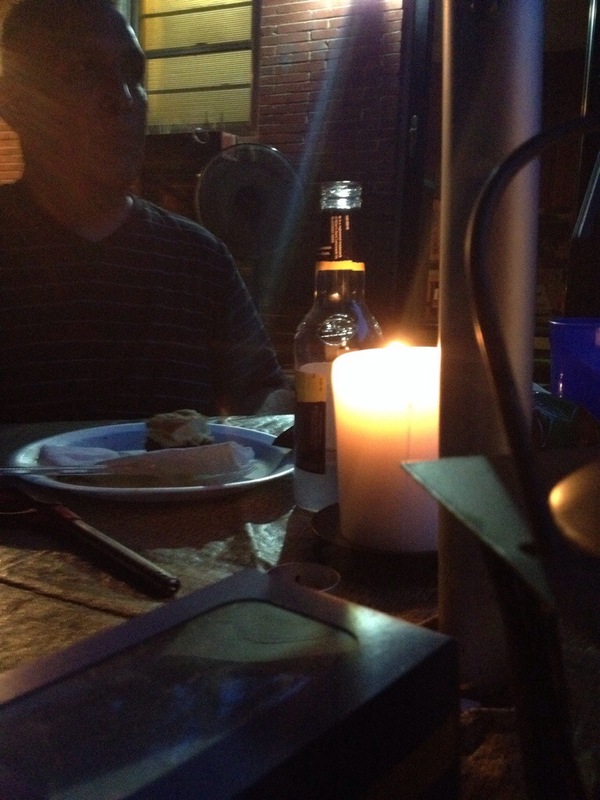 Hot nights are patio nights.. The typical Summer temperatures have arrived for The South. Hot! Humid! Muggy! 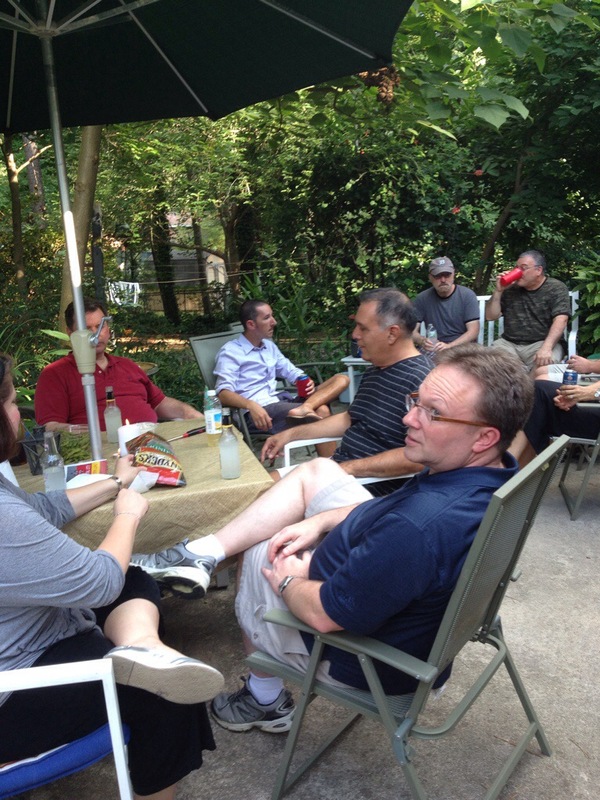 Its a good time for a cookout and patio party! 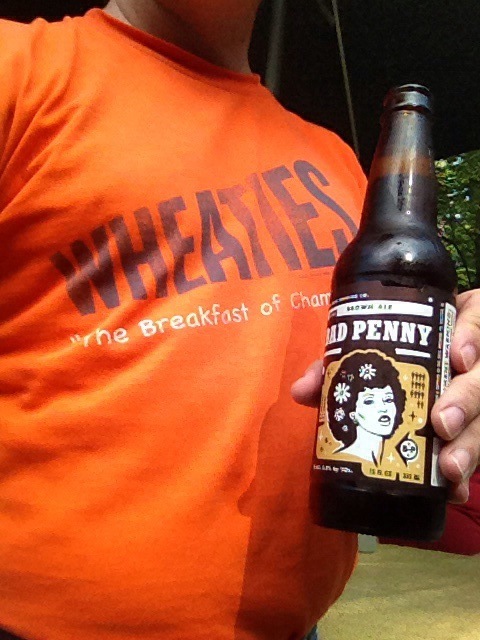 They always seem to begin with my good friend: Bad Penny! Pot luck is the way to go as there is so much food as more people arrive throughout the evening. 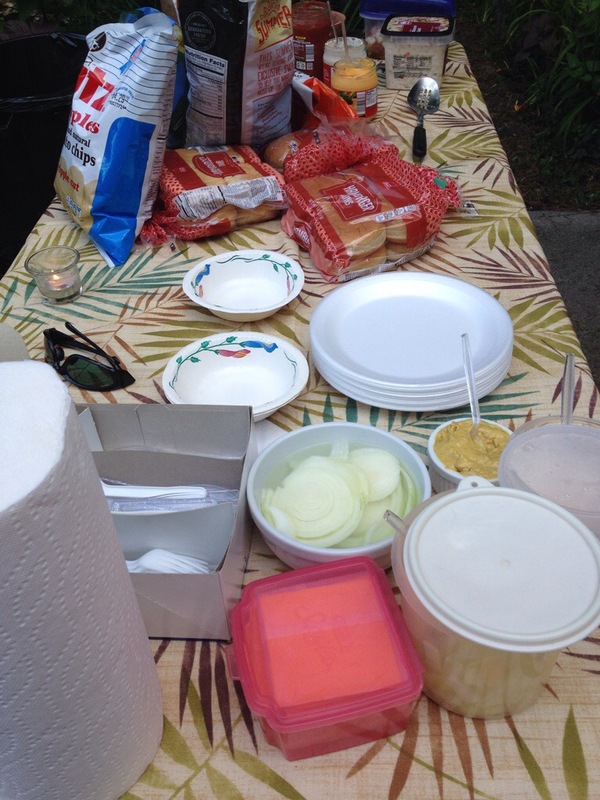 The first cookout I had years ago I tried to do it all myself. It was too much to do alone and stressful. I have discovered its easier on me and the food is much more diverse if I went Potluck! There can never be too many chairs! Once the sun goes down and the air cools it becomes more comfortable or maybe it was the several Bad Penny’s which I had consumed by then? It was fun to have everyone over and so much food! I was so tired but my belly was full! 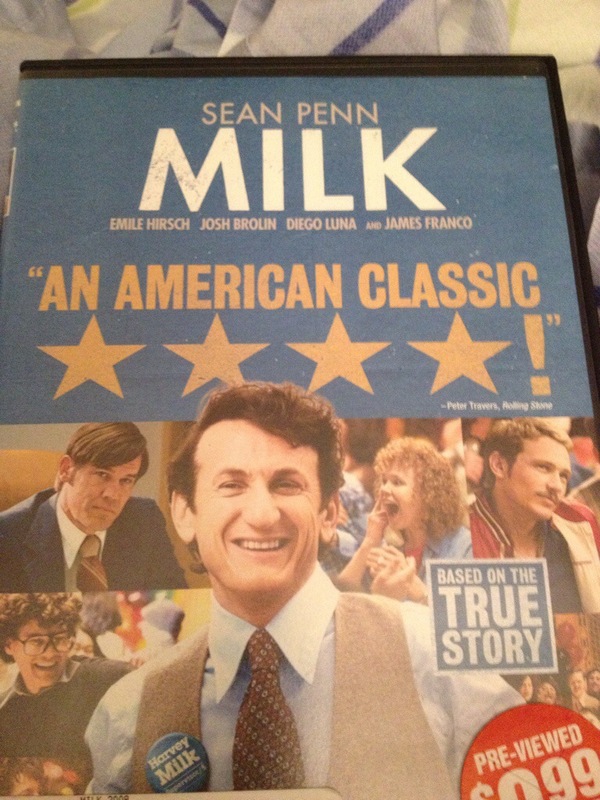 Tired and exhausted from cleaning the patio furniture and shopping for hamburgers and food I retired to watch “Milk” again. Such a good movie! Cue the tissue! It’s Wednesday and you can never have enough of “The Saturdays” and EuroPop! 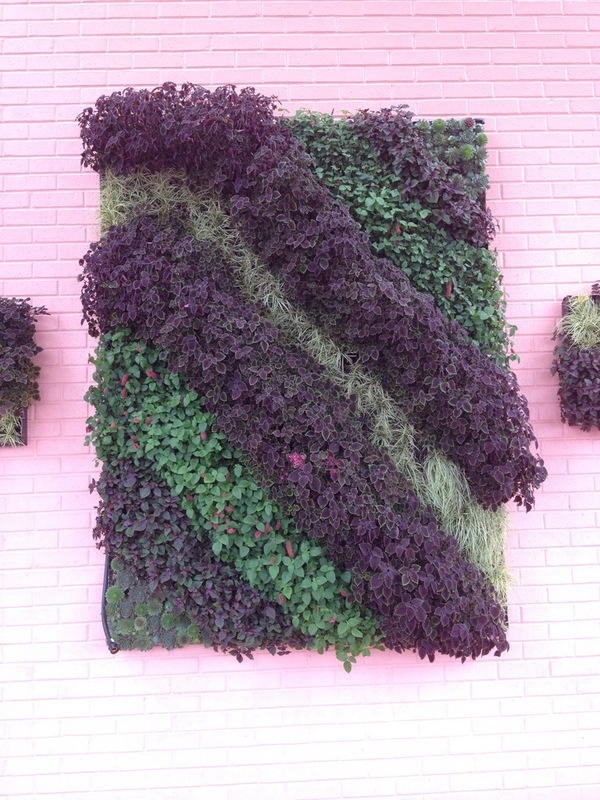 Corn, hanging wall plantings and more Hydrangeas! 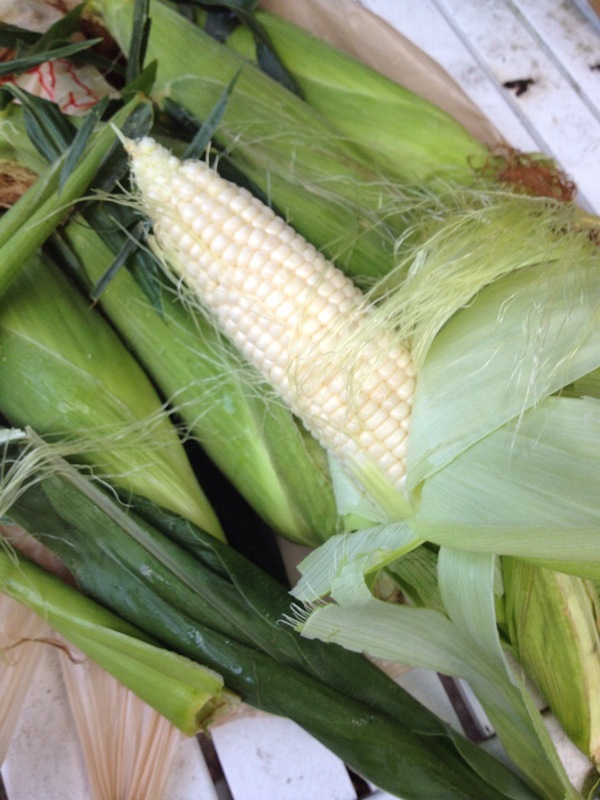 Its corn season here in the Piedmont of North Carolina! And that’s a good thing! I love corn. Cooking the ears in boiling water is the simplest but when the temps are in the 90sf as it has been for the past week I try not to cook inside and instead use the natural gas grill on the patio. The grill is tapped into the natural gas line for the furnace so there are no tanks to refill! Its easy! And with the total cost of $3.00 for 12 ears you cannot go wrong! 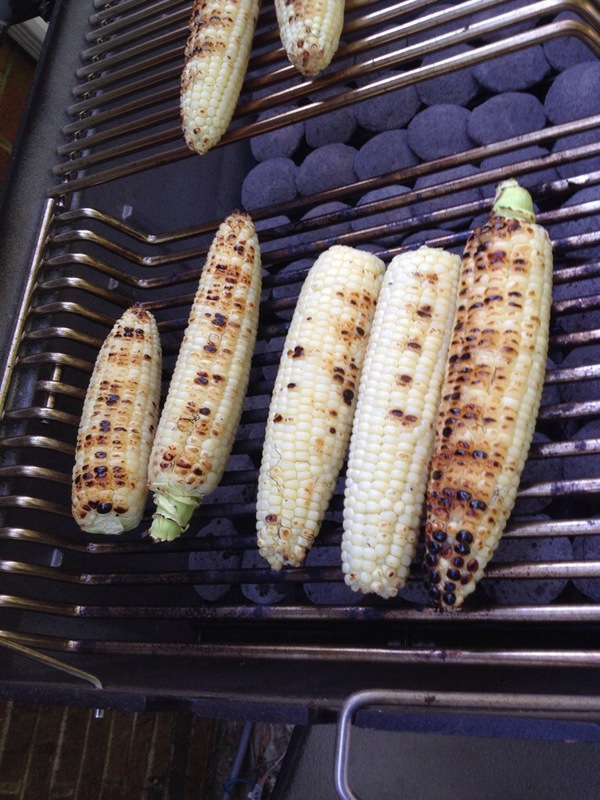 The simplest way to grill is to place corn directly on the grill. You can leave the husk on which creates a steamy environment for those kernels to cook! I had removed the husk here. You also could add spices or herbs or flavor them with herb butters. I like to taste the sweetness of the corn so just a little butter is fine by me! 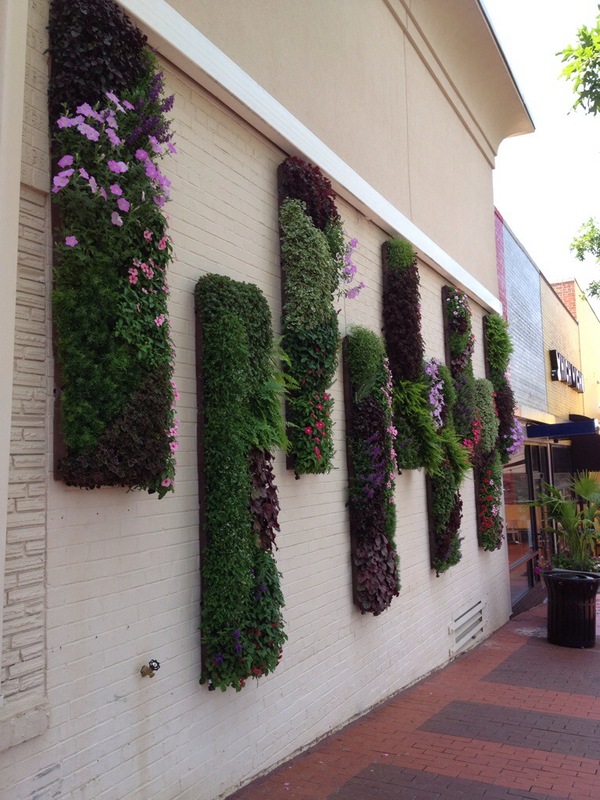 In Cameron Village Shopping Center they have installed these beautiful hanging plantings. They seem to be appearing all around town. There are about a dozen different shapes and designs through out the shopping center. 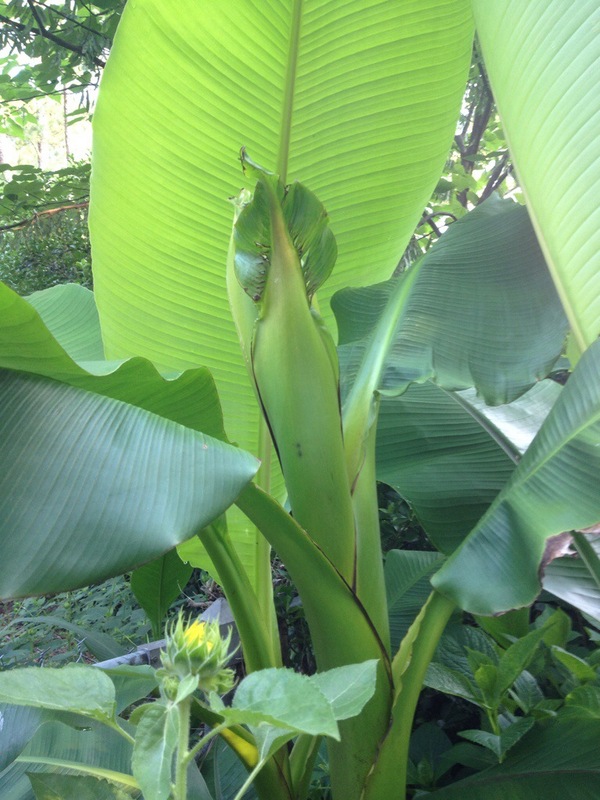 The Basjoo banana bloom continues to develop! I am still surprised that it decided to bloom at only 5 feet tall. 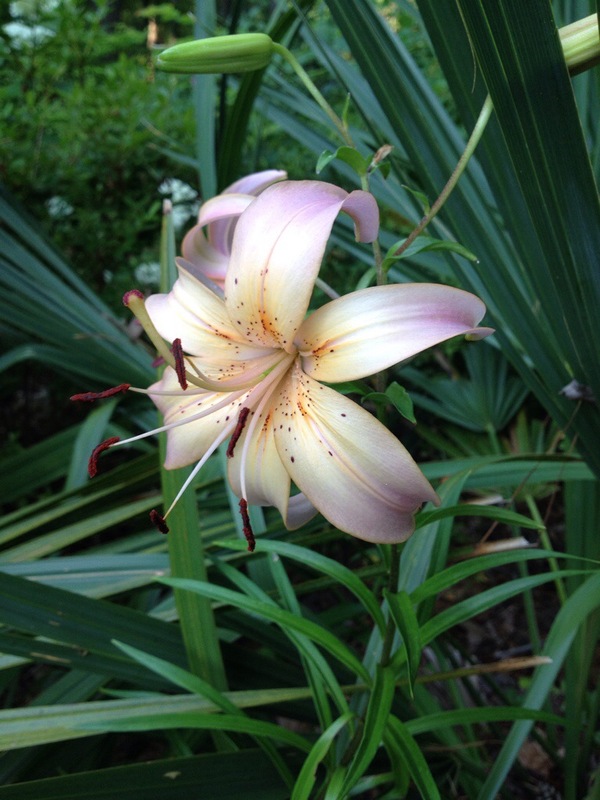 And several lilies are blooming. In the past, voles would have eaten the lilies before they bloomed but thanks to a black snake I have seen often my vole issue seems to be under control! This is an unusual color which was included in a mixed bag. The hydrangeas continue to delight me! I think they are my favorite blooming shrub? Thank you Mother Nature for the rain! 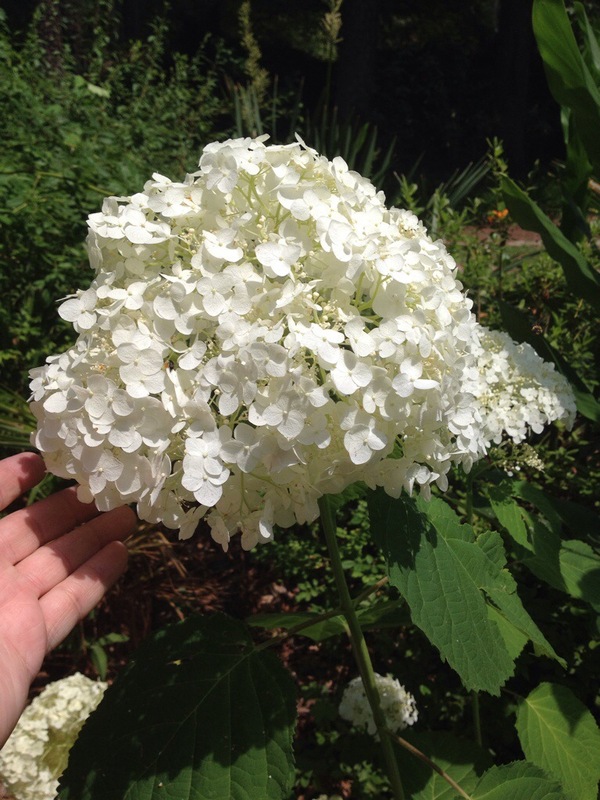 This is an Incrediball Hydrangea which is a cultivar of the Smooth Hydrangea ( Hydrangea arborescens). I love its sister Annabelle, too, but I have not found a location for a few of those……yet!